Chanterria McGilbra, MBA is founder and creator of Prancing Ponies Foundation 501(c)3, Rally and Car Show which ‘Creates Women Leaders One Girl at a Time’ through Leadership Acceleration Academies for 3rd year STEM girls. Chanterria created all of the curriculum for the Academies, recruited and setup the board of directors, setup all legal and financial systems including automating feeds between QuickBooks, constant contact, and donor perfect thanks to all of her technical prowess as a self-taught programmer during her undergraduate studies at CSU Hayward. The Foundation is supported by two first of its kind fundraisers: Prancing Ponies All Female Ferrari Rally and the Prancing Ponies All-Woman Car Show during Monterey Car Week. The Car Show is the first car show Carmel-by-the-Sea approved during Monterey Car Week in over 10 years which took a fierce political battle with city council members but she won. Her car show started with only 25 cars but had over 1500+ spectators along with Lyn St. James – first woman professional race car driver to win Indy 500. The second year of the car show brought in 46 cars and 3K+ spectators. Chanterria was recognized at the Gala of Auto Legends, she has honored Lyn St. James with the Prancing Ponies Legendary Leader Award and will be featured on Restoration Garage episode 5 in February 2019. Her first all woman Ferrari rally was covered by over 38+ media outlets in one weekend – more coverage than Fortune 100 companies receive in a year. The following year she made history in Europe with the same rally and added being the first all-woman rally to park in front of the Monte Carlo Casino to her 3 world records. 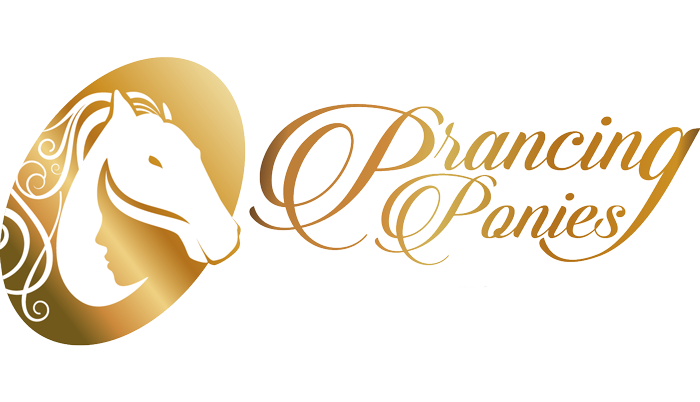 Chanterria has successfully created a brand from nothing…she has done all of the marketing, PR, and Social/Digital marketing (with over 2K+ reached each week), and created the website, all content and has received a worldwide trademark for the Prancing Ponies brand and logos. Chanterria has been interviewed multiple times by all major news media in the US and Europe including: Bloomberg, CBS, ABC, NBC, Haute Living, Huffington Post, MonacoLife, Figaro Paris and she has met Oprah Winfrey, Mavis & Jay Leno, and Eve. Prior to founding Prancing Ponies, Chanterria was the first employee of a startup biotech in the San Francisco Bay Area where she and the CEO were the only 2 employees for the first year securing the title of the 3rd largest privately funded biotech in the US with a 45M Series A. She managed all operations of the biotech including creating and scheduling roadshows, managing BOD meetings, clin ops, corporate ops, opening our first bank account, naming the company and building out all offices space which are currently in use today. She was the only student in her MBA graduating class that walked across the stage with a degree and a job as VP of a technology startup in Brussels, Belgium where she lived and worked for 1 year. After representing the only European company on the FTC’s online behavior targeting panel along with Yahoo, Microsoft, Google and Apple – her lone dissenting opinion is now represented in the GDPR law passed in 2018. She then returned to the US and secured the largest account for the company leading to their buyout later in the year. Chanterria then began to follow her dreams to ‘save the world’ through nonprofits by starting her own consultant company as Chief Consulting Officer of LeRevinu Enterprises. Before receiving her MBA at the International University of Monaco, Chanterria lead over 325 events at McKesson, and was a technology leader at Kaiser Permanente, Charles Schwab’s eSchwab Brokerage, and Arthur Andersen where she was the youngest and the only woman of color in leader roles. She currently lives between Monaco and San Francisco where she holds the title of the first African American Women to buy a Ferrari in Northern California and to relax she enjoys racing her Ferrari named ‘Coco’, participating in European and US rallies, and dancing – her favorite past time since graduating from San Francisco School of the Arts High School. With a passion for life and a head for business, Dawn Galante started producing award-winning wines in 2011 while maintaining a business model that allows for the opportunity to give back. Dawn’s passion for helping women and children equals her passion for making wine. Dawn joined the business office as the CFO and COO at Galante Vineyards in 2001 and continues to oversee the operations for both Galante Vineyards and Dawn’s Dream. Dawn is a member of the Les Dames d’ Escoffier and Knights of the Vine and is actively involved with Rising International, Voices for Children and many more non-profits. Dawn studied Business Marketing and traveled to California from Michigan in 1985. In her free time, you can find Dawn spending time with her husband Jack Galante and their five children enjoying the outdoors snow-skiing, scuba diving and hiking. Dawn has built her life on free-thinker Henry David Thoreau’s belief that “Dreams are the touchstones of our character.” Dawn can be contacted at wine@dawnsdreamwinery.com. Tom Shankle, is a senior business professional with over 25 years in the health care industry. He has worked for a large management consulting company for over 11 years and has worked for one of the largest pharmaceutical and medical equipment distribution companies, McKesson for over 4 years. Tom started his company Apple West Home Medical Supply (www.applewesthms.com) in 2009 which supports the disability community with their medical supplies. The main reason Tom decided to move into home medical supplies is to have a job where he felt he was helping others while providing a means to give back to the community. Tom is deeply involved in the disability community through his a 501(c)3 foundation, Everyday Abilities, (www.everydayabilities.org). Additionally, he is a chapter leader for the United Spinal Association (www.unitedspinal.org). Tom personally moderates two support group meetings for those with spinal cord injuries or spinal related diseases each month; one in Berkeley and the other in San Francisco. Tom has also participated in several United Spinal lobbying events in Washington D.C. to speak with representatives about legislation that affects individuals with disabilities. Tom currently lives in San Francisco with his husband Greg but will be moving permanently to Lucca, Italy during the summer of 2018. Tom specialties include health care, urological supplies, relationship management/customer service, project management, leadership, budgeting, process improvement, business operations, business strategy and foundation work. Kirk is a native Californian born on the outskirts of San Francisco. He grew up near Lake Tahoe enjoying the outdoors. While studying chemistry and engineering at UNR Kirk enjoyed the extreme sports of the high desert and the Sierra Nevada. After graduation Kirk moved to be near family in Japan. Relishing both work and travel experiences around Asia, Kirk’s yearning to return back home prevailed. After Kirk’s California homecoming in the early 2000s it didn’t take long to rekindle his love of San Francisco’s neighborhoods. Residing across the city in Cole Valley, Clarendon Heights, Castro and North Beach before Kirk, partner, and dogs Skooter&Bo found their permanent home on Potrero Hill in 2006. In 2005 a close friend prompted Kirk to explore real estate. He quickly found the perfect career. Selling 3 homes in his first 3 months of being licensed Kirk knew real estate was the perfect fit! A direct yet tactful sales approach with clients has generated a 100% referral client base since 2012. Hundreds of homes totaling more than 100 million dollars in sales has sculpted Kirk. He’s intuitive and quickly adapts to his clients needs. Clients describe him as fun, full of energy, great with the numbers, and a savvy negotiator. Go with the superb real estate experience and contact Kirk. Viviann Larsen is a healthcare leader with 30 years of experience in business operations, process improvement, strategic solutions and risk management. She has contributed to the growth of businesses in varying sizes from a medical practice to the largest healthcare provider in the workers comp arena. She leads a team that retained $1.7M in the first 6 months since their inception in uncharted territory. Viviann believes customer excellence begins with empowering and investing in your team first. Providing them the support to leverage their strengths and strengthen their weaknesses naturally leads to high performance. Viviann holds a Bachelor of Arts in Developmental Psychology with a Minor in Special Education from San Francisco State University. She is currently working on her Lean Six Sigma Green Belt certification. This native San Franciscan moved from one coast to the other 16 years ago and currently lives in Jacksonville, Florida with her husband and their son. Their love for animals has led them to rescue 2 dogs and 4 cats. In her spare time, she enjoys the outdoors camping and hiking and spends quality time with her family and friends. Darcy joins The Prancing Ponies board with a commitment to support young woman to become tomorrow’s leaders. She and her husband are yearly donors to several nonprofits dedicated to helping under served youth reach for their dreams. Darcy and her husband moved from The Peninsula to Marin several years ago. She is a realtor with Pacific Union/Compass Brokerage and covers Marin, San Francisco, Sonoma, and Napa. Darcy has owned and sold several businesses and is a leader in business development and strategic negotiations. Her skills selling and helping clients purchase in the luxury market are highly valuable. She is passionate about visual art, dance, and design. Darcy holds a BA in dance from University of Maryland and danced professionally in New York and San Francisco. Darcy contributes a percentage of her commission to Prancing Ponies as well as the nonprofit of her client’s choice. Darcy currently lives in Novato. They have one son who attends college, for dance, in LA. Ericka Scott, a San Francisco native who is extremely passionate about providing opportunities and resources to underserved communities. Ericka is excited to bring her business start-up & non-profit development experience to the Prancing Ponies Team. In 2002 Ericka launched a business consulting company and over the last 15 years the company has provided trainings, program design and management development services throughout the Bay Area. Ericka has facilitated courses in Social Justice at the University of California, Berkeley, San Francisco City College, and many leadership programs for adults and youth in partnership with schools and programs throughout the Bay Area. Some collaborations and/or clients include: Stanford University, National Foundation for Teaching Entrepreneurship, Boys & Girls Club, and the SF YMCA. Ericka studied American Studies with in emphasis in Urban Development at the University of California, Berkeley. She is currently a business consultant and instructor with Renaissance Entrepreneurship Center serving the San Francisco Bay Area. Her children, Savion & Savana help to keep her young and current with generation Y. Ericka and her husband Pride are the owners of a new start-up, Honey Art Studio, where beginning and advanced artists create, build community and explore new forms of self-expression.